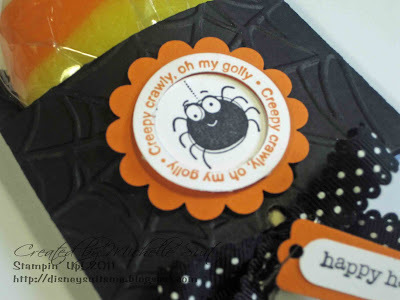 Suitably Stamped: Creepy Crawly...Oh My Golly! Today is the first day of school here and I'm ready to meet my new kiddos. Woot! Linz is ready to head off to her new internship and we are hopeful that she'll settle in quickly and find a happy, new home with Project Search. Today marks the first day of Zach's senior year. I can't believe it. It also will be the first year in a very long time that he has been in class without Linz. (For those of you who are new to my blog...Linz and Zach are both autistic...) I know he will do well and even though he IS 6'5"....he's been in Lindsay's "shadow" for a very long time. I know he will have a great year too. I love the Scallop Envelope Die for my Big Shot. It is such a great little holder for lots of different treats. For this project I cut two of them from Basic Black card stock and then embossed them with the Spider Web Embossing Folder. They are then adhered, right sides together, on 3 sides. I cut the top flap off of the front one first. Then I used my trusty Crop-o-dile and punched at hole in the middle on the bottom for the lollipop stick to fit through. Voila! The front medallion is made by punching 1 scallop circle out of Pumpkin Pie card stock. Then I stamped the spider image from the "Batty For You" stamp set TWICE...once with Basic Black ink and a second time with Pumpkin Pie ink. Then....I punched the Basic Black image out using the 1 3/8" circle punch. Then I punched out JUST the spider from the Pumpkin Pie image so only the text is left. Then I punched the circle of words out using the 1 3/8" circle punch making a window to go around the spider that will be popped up on dimensionals. Clear as mud? Those pieces are then adhered together finishing up the medallion. Then adhere it to the front of the envelope. 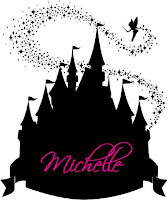 The bow is made with the black polka dot scallop ribbon. the Happy Halloween greeting is from the Teeny Tiny Wishes stamp set and it stamped with Basic Black ink on Whisper White card stock and punched out using the Word Window punch. The background is punched from Pumpkin Pie card stock with the Modern Label Punch. The tag is attached using one of the safety pins from the Vintage Trinket assortment. There you have it! Doesn't it just make you smile? 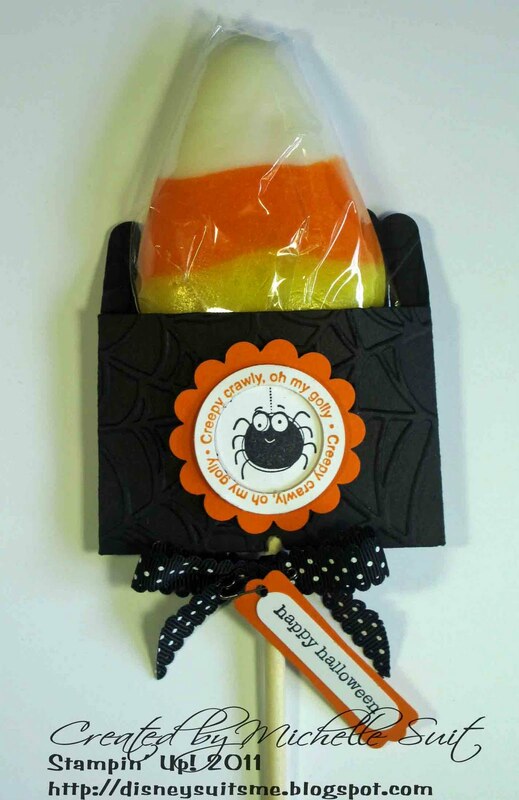 There are SO many different themed lollipops out there all year long. The possibilities are endless! Here's the Batty For You stamp set. I have tons of project ideas for this set alone. I'd better get busy! Those are adorable!!! Where did you ever find candy corn lollipops? Very creative! !